Plants can produce electricity, all we need to do is to wire them up. The students of Cambridge University are researching on how plants and algae can be used to create a solar panel which would power devices even could charge our smartphones. The plants get energy from sunlight through photosynthesis and during this process release electrons and protons, Some of those electrons are harvested by us and they are used to derive the electricity. Well to charge our smartphone by the plants would take a whole day, So to make it more efficient we used algae which proved to be way more efficient than plants. All we need is some sticky tape, carbon fibre cloth,a catalyst, paper mixed with stainless steel powder, of course some algae. 3D printing is a process of creating a 3 dimensional solid object with the help of 3D printers. This is achieved by applying a layer of material one on another to acquire the required shape. The 3D printer can print any shape which is stored in a digital design file in the computer. It can print any shape within hours depending upon the size. There are various 3D printers available in the market each at a different cost and with a different way of printing. Till now we are able to print the body of a fully functional car, clothes, monuments, etc. Maybe in the future me might be able to print our houses, not the toy model but the whole big house in which we can live and then it would be the starting of a whole new era. Holograms are a 3D image formed by the projection of the image from different sources obviously at different angles at a particular area. We do not need any screen to peoject a hologram unlike the old 2D projectors which means need a surface to project light on it. These 3D projectors would just create an image in space which we can view at any angle. 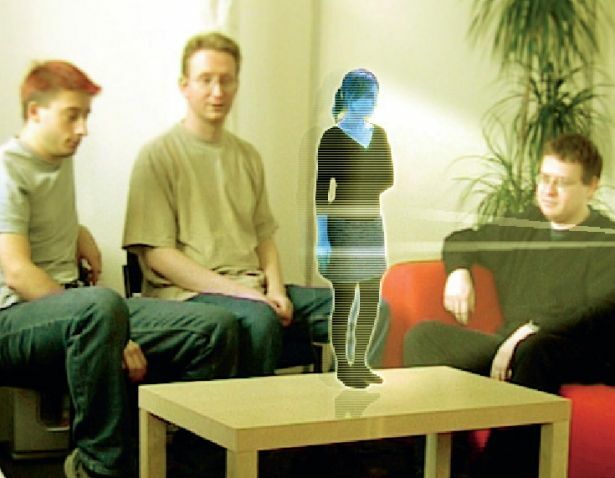 By these holograms we might not need to travel to different places for meeting purposes, and can have that meeting sitting at our home creating our live hologram at that place. This would save money, time and fuel. The inFORM is MIT's new toy for imagining the interfaces of tomorrow. It is almost like a clay which could mend itself in any shape we want. The users can not only interact with the digital content but can also shake hands with a person standing miles away. It is just like a 3D surface that can change its shape whenever we want. We can built 3D designs on it, move objects and can do whatever is in our creative mind. This Created by Daniel Leithinger and Sean Follmer and overseen by Professor Hiroshi Ishii, the technology behind the inFORM isn't that hard to understand. It's basically a fancy Pinscreen, one of those executive desk toys that allows you to create a rough 3-D model of an object by pressing it into a bed of flattened pins or you might have seen this in the movie The Wolverine(2013). With inFORM, each of those "pins" is connected to a motor controlled by a nearby laptop, which can not only move the pins to render digital content physically, but can also register real-life objects interacting with its surface. The blindness of the people is over with this new technology which would allow blind people to see the world without any eye being changed. This tech is called Virtual Eye, which consists of a camera situated on a pair if glasses which directly sends signals to the visual cortex of the brain using wires . Till now the tech enable to define the shape, size and the distance of the object and that too in just a few colours. But in near future we might be able to achieve all the colours, shapes and sizes of the world and the blind would be able to see again. And in the coming future guyz, I tell you that there would be no blind person seen. After Google Glass, Google came up with another amazing tech Smart Contact Lenses. These lenses would monitor the healthcare of a person. After a deal between Google and Alcon eyewear, the companies said that they would create Smart Contact Lenses. It would contain a low power microchip and an electronic circuit which would be extremely thin even thinner than a human hair. This Lens would measure diabetics’ blood sugar levels directly from tear fluid on the surface of the eyeball. The system sends data to a mobile device by wireless communication to keep the individual informed. 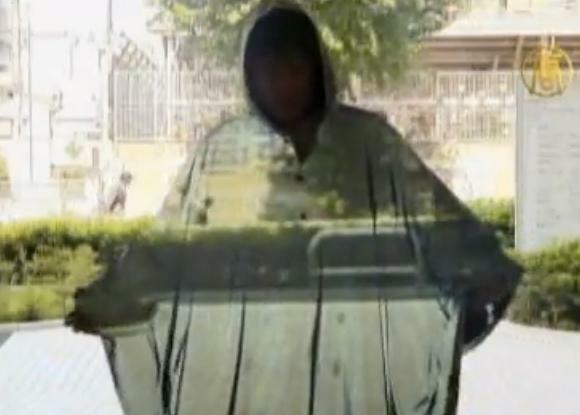 Invisibility cloak mainly resembles the one shown in Harry Potter movie, so a person wearing it could preety much become invsible. When Cambridge University's Scientists developed a new method of creating invisible metamaterial with the help of lasers it lead to the possibility of invisibility cloaks. This Cloak would mainly be used for military applications like for an invisible fighter plane or invisible soldiers ,etc.